The general haulage division consists of depots supported by our Northern Operating Centre in Washington, Tyne & Wear. All depots are supported by the transport managers, traffic office and driver teams, who work together to satisfy our substantial and diverse customer base. In order to meet our customers’ expectations, we have an extensive fleet able to carry up to 30t. The trailers include; curtain-siders, armoured curtains siders, stepped frame trailers, flat beds & specialist trailers..
Fergusons Transport continually invest in their fleet, coupled with in-house planned, preventative maintenance programmes ensures Fergusons has a modern and reliable fleet that won’t let customers down. Now that we have a number of highly qualified ADR (Hazard Goods drivers), so that we can legally transport hazardous goods as required by our clients. Fergusons Transport are a FIAS certified supplier. Fergusons Transport are listed on the Agricultural Industries Confederation register and have met the assurance framework set by the Fertiliser Industry Assurance Scheme (FIAS) for haulage and storage; to meet security, traceability and safety requirements​. Bronze accreditation confirms that an operator employs good practices and complies with the requirements laid out by the FORS Standard. This includes demonstrating dedication to driver and vehicle safety, combined with improving operating practices through effective monitoring of fuel and tyre usage. 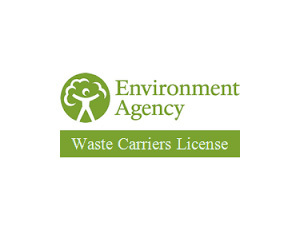 Fergusons are licensed to transport controlled waste within the UK.